Created in 2006 and originally designed by Alexander McQueen himself, McQ was the designer's younger complement to his couture-like main line. It has since forged a strong identity of its own, with its provocative mix of cool and classic, and signature tartans and swallow motifs. 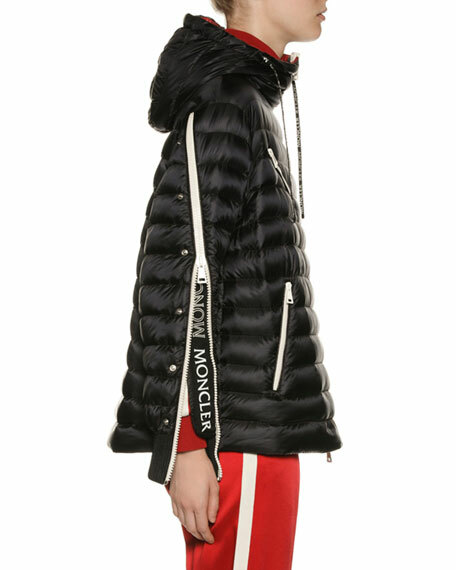 McQ maintains the rebellious spirit of its founder, with tough chic details like zippers, unexpected embellishments and leather. 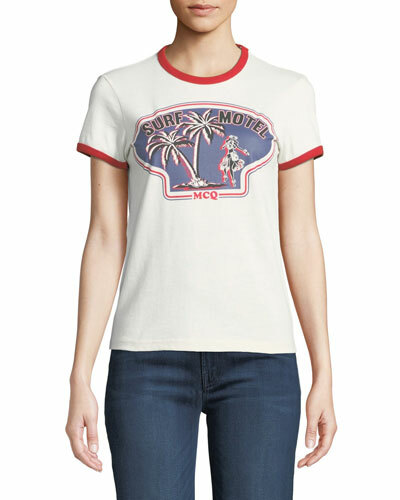 Founded in 2006 by Alexander McQueen, McQ by Alexander McQueen is the younger counterpart to the iconic British designer’s main collection of punk couture. 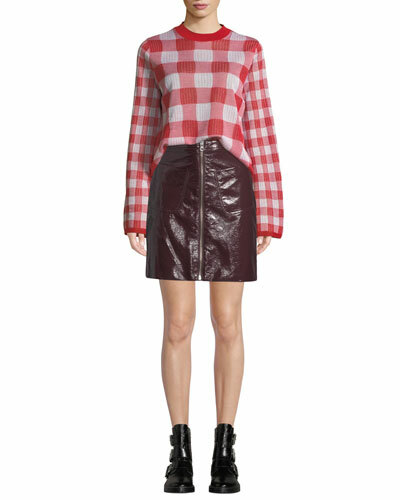 Daring mini skirts in McQueen’s signature plaid mingle with oversized sweaters and hoodies for a line of women’s apparel that toes the line between British sophistication and urban streetwear. 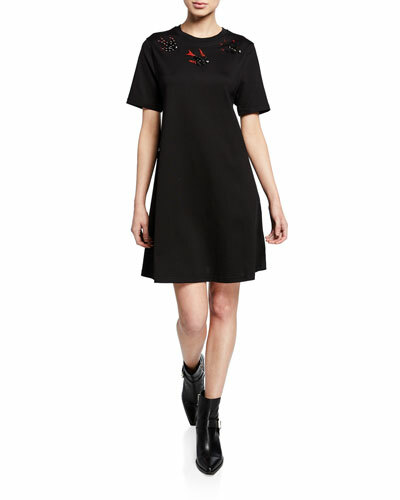 Cocktail dresses by McQ do not play around, with body-hugging lines, luxe fabrics, and edgy details that make them uniquely McQueen. 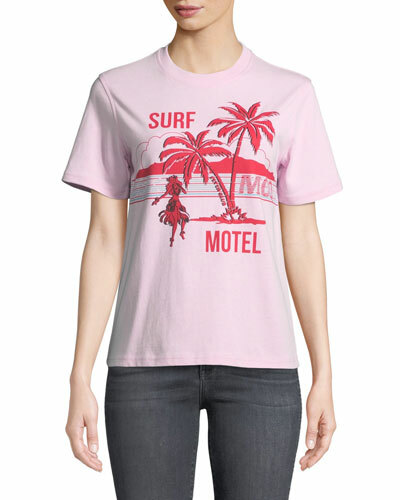 With this collection, the designer’s legacy of irreverence and innovation lives on. 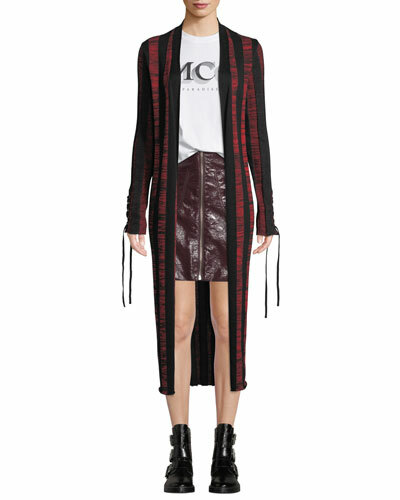 Shop a selection of women’s ready-to-wear apparel by McQ by Alexander McQueen at Bergdorf Goodman. 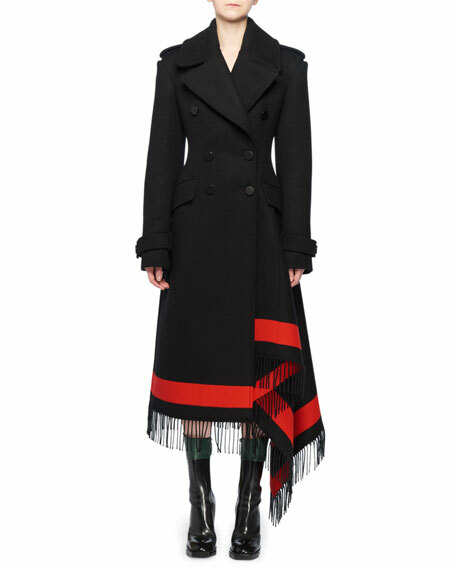 Alexander McQueen blanket coat features a striped fringe hem. Notched collar; double-breasted button front. Shoulder epaulettes. Long sleeves; tab cuffs. Contoured waist. Side flap pockets. Martingale strap. Asymmetric hem. Wool/cashmere/nylon. Combo, wool/cashmere. Lining, cupro. Made in Italy. 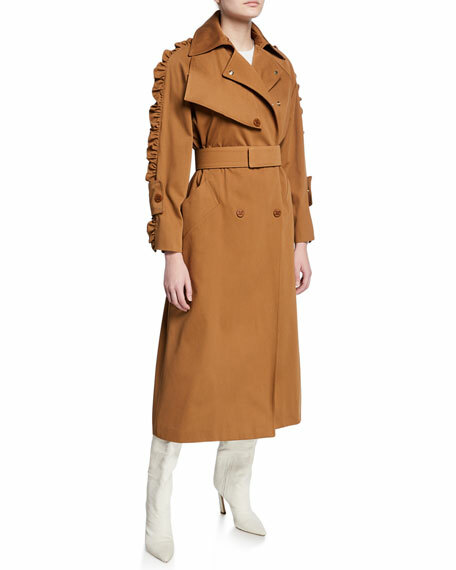 Maxmara coat in cotton gabardine. Notched lapel; double-breasted button front. 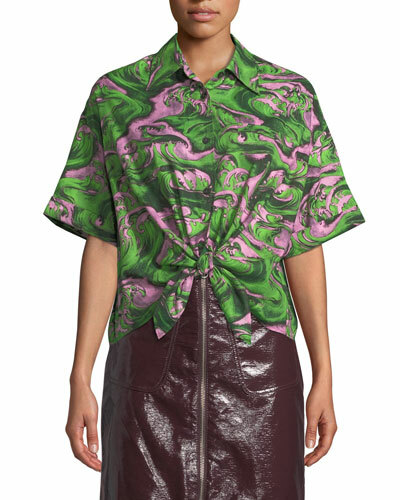 Long, ruffle sleeves; tabbed cuffs. Asymmetric gun flap. Welt pockets at hips. Belted waist. Slim A-line silhouette. Midi length. Cotton. Made in Italy. 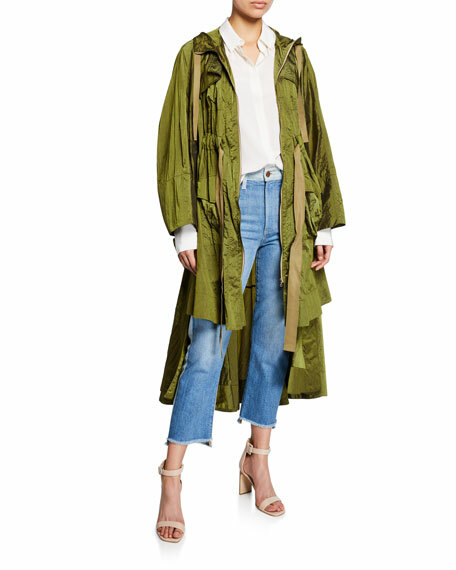 palmer//harding "Brooke" lightweight, drapey taffeta coat with tiered ruffle details. Hooded drawstring neckline; zip front Long wide sleeves; cinched cuffs. Front flap pockets. Elastic waist tie. Relaxed fit. Step hem. Nylon. Dry clean recommended. Made in Portugal.